The fall season might be over, but that doesn’t mean The Argus can’t highlight an important fall sporting avenue on campus: ultimate frisbee. An incredibly “college” activity, ultimate frisbee is very prevalent on the University’s campus, especially among students looking for fun extracurriculars. The University has three main ultimate teams: the men’s team, the women’s team, and Throw Culture, a co-ed team. Each team competes at their own level, ranging from highly competitive (the men’s and women’s) to more relaxed (Throw Culture). There’s something for all fans of frisbee here at the University. 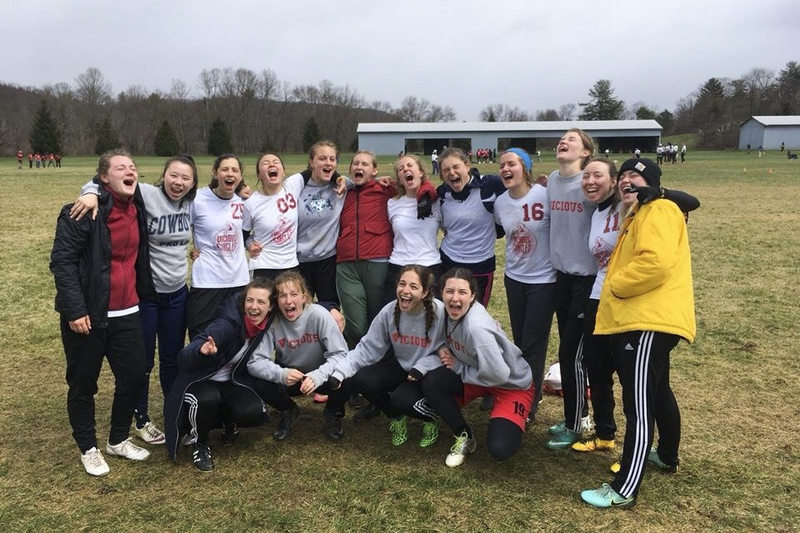 The Argus sat down with Amabel Jeon ’19, Kelly Jamrog ’19, and Lily Gould ’19, captains of the University’s all female-identifying Ultimate Frisbee team. Their team, Vicious Circles, feels passionate about their sport and took some time to talk about all things ultimate. The Argus (TA): What exactly is the team that you’re a part of? How would you describe it to someone wanting to join? Vicious Circles Captains (VCC): Vicious Circles is Wesleyan’s all female-identifying Ultimate Frisbee team. We have players of all skill levels and interests, and we welcome anyone who wants to join our community. The team provides a supportive, fun-loving space for players to challenge themselves and be competitive. On top of the obvious ultimate prerequisite, Vish’s other passions include JBL-fueled dance warm-ups and chocolate soy milk. TA: What have your experiences been like as a part of the team? VCC: At least from our experiences, the team is constantly changing each year as each player brings her own “flare” to the team. We take pride in the fact that the team is completely student-led and maintained by everyone’s passion for the sport. Many of our favorite memories with the team are off the field: road trips, sleepovers at away-tournaments, potlucks, and parties! TA: What is the training like for your team? VCC: Vish practices three times a week during our fall and spring season. In our practices, we have a heavy focus on fundamentals through a variety of drills, and at the end of each practice, we scrimmage. When it’s off-season, we head to the gym to work out in small groups to stay in shape and focus on Frisbee-related workouts. TA: How competitive is ultimate in the northeast? Are you in a conference/league? VCC: We compete in the Metro East region, which mainly consists of schools in the New York and Connecticut area. Historically, the Metro East has been an overlooked region but has been garnering more attention due to growth in women’s frisbee programs throughout the region. At the end of our spring season, we participate in the USAU DIII College Championships. By coming in first-place at Regionals for the last three years, we have earned a ticket to compete at the National Championships. But the Metro East Regional, in general, has a lot of great teams and a lot of intense competition all year round. TA: What competitions did you participate in this fall? How’d you all perform? VCC: Our fall season is our learning season. Every year, we have many newcomers and we like to focus our practices and games on building team cohesiveness and fundamentals. Typically, we attend small local tournaments in the area and use them to provide an opportunity for all players to try out their new skills.